A few words on barley. I feel that this grain is being greatly neglected nowadays, considering the importance it’s had over the last few hundred years as a major staple food. You hardly ever find it in restaurants, other than within the occasional soup. This whole grain has lots to offer. In fact, it is the richest of all the cereals in cholesterol lowering fiber, while also having the lowest glycemic index of any grains (i.e. it helps stabilize your blood sugar). Although you are likely to find pearled barley quite easily, you’ll be more successful hitting the natural food store in order to dig up its healthier counterpart, the hulled barley. Hulled barley is, in fact, the whole grain, while the nutrient-rich layer of bran covering the kernel is removed during milling to create the pearled barley — ridding the grain of nearly half its nutrients! 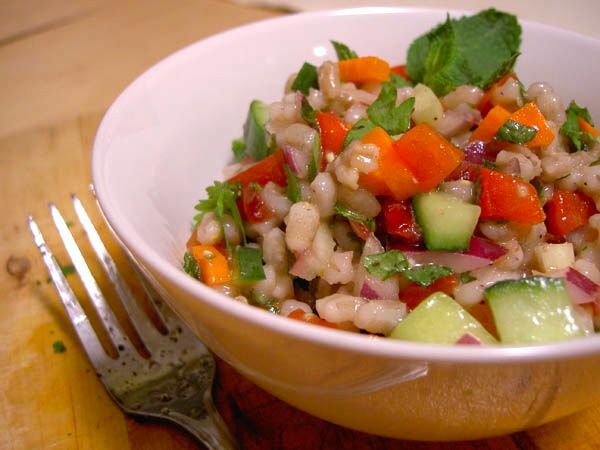 Barley can be used in dishes other than soups. It can substitute rice in virtually any recipes, such as this one. Mix together the orange and lemon juices, oil, honey, salt and pepper, and pour over all other ingredients (Recipe adapted from Rosie Schwartz’s Enlightened Eaters). 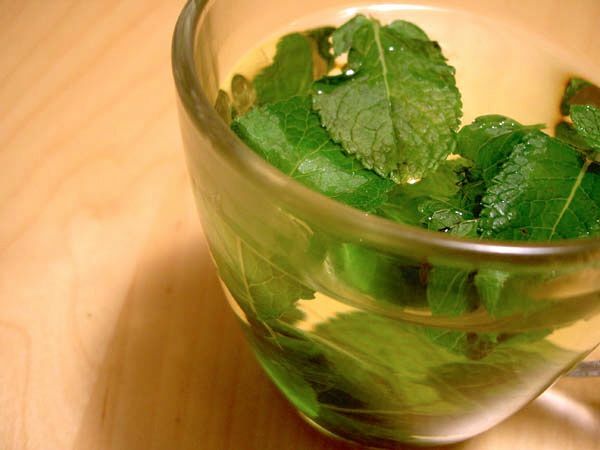 And while you have leftover mint, why not treat yourself to a mint tea by pouring hot water over a few fresh leaves? Aww, food. I love this blog!!! It’s such a great idea and I can’t wait to make this salad!